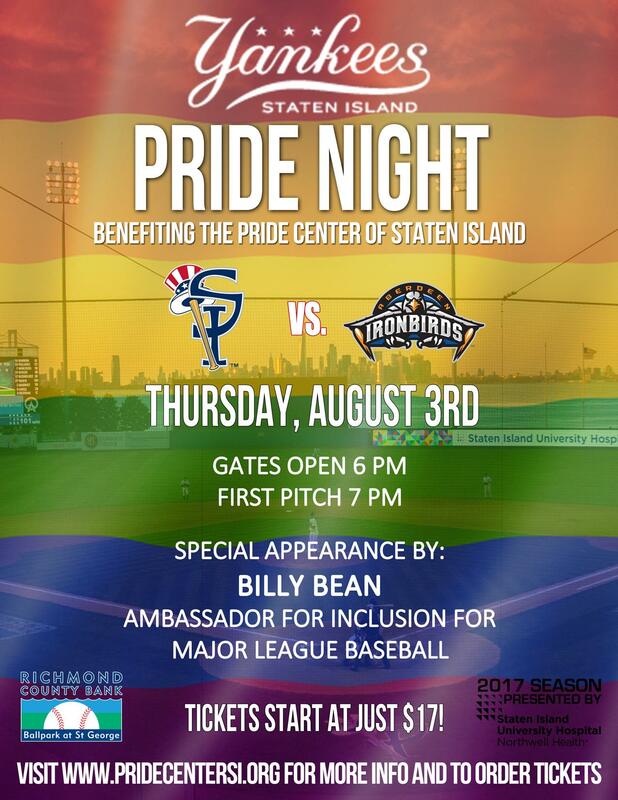 This Thursday, August 3rd, the Staten Island Yankees will be celebrating Pride Night at the Richmond County Ballpark. Ticket option #1 is only $17 and gets you admission and a seat in one of the better sections of the ballpark. Ticket option #2 is only $25 and gets you admission to the same section as Ticket Option #1 and a $10 Concession Card. Ticket option #3 gets you admission to the Skyline Suite where you can view the game in air conditioned comfort with private outdoor seating for $55. There will also be a buffet option for people who choose ticket option three as well as a meet-and-greet with former MLB Pro Billy Bean. 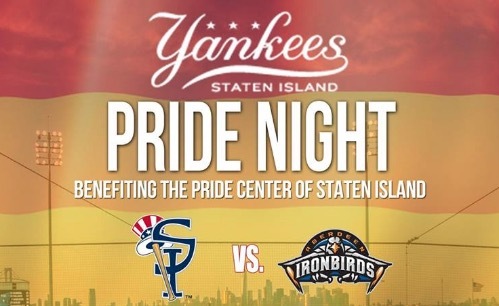 So come out and have a fun evening with the SI Yankees and help support the SI Pride Center.